Whether you are a patient, a caregiver, or a friend of someone facing cancer, you have questions. Thankfully, there are many resources available to help you through this difficult time. I have gathered many of the links to these online resources and sorted them into resource pages for you to access. Caregivers stand on the front line alongside their loved one in the battle. Often, friends and family overlook the effect the patient’s illness has on caregivers. Thankfully, there are some resources that can help make the caregiver’s job easier. It’s common to feel powerless to help when a friend has cancer. This page has resources for when a friend has cancer will give you ideas of ways you can help your friend through this time. Parenting is tough. When you have children, the impact of your illness on them is as big a concern as anything at this time. Check with your cancer center or clinic to see if they have a social worker who can give you available resources for Parenting when you have cancer. There are financial and legal resources to help you through this time as well as emotional support. There are even options for respite care. Those are some sobering numbers. Lung cancer patients are also often ostracized by people who think of it as a “lifestyle disease.” Thankfully, there is growing support for lung cancer patients. NO ONE DESERVES TO GET CANCER. My husband was diagnosed with stage IV lung cancer in 2012. Our lives changed forever. Since then, we have had ups and downs with his health, but we have cherished every minute. There is hope and more people are beginning to see the importance of research for new treatment options. Malignant mesothelioma is a rare cancer of the protective lining around important organs, such as the lungs. It is caused by asbestos and takes 20-50 years to develop after exposure. Here are some resources especially for mesothelioma patients. Living with cancer is never easy. When it’s terminal cancer, it becomes more difficult, more emotionally complex. You aren’t just living with terminal cancer, you are dealing with dying. How will your family cope after you are gone? Hopefully, these resources for living with terminal cancer will help. Doctors said that my husband had about 6 months to live in 2012 and that patients with his type and stage of cancer had a 4% chance of surviving 5 years. He said, “Someone has to be in that 4%. I’ll volunteer to be a 4 percenter!” He made it. It’s five years since he got the diagnosis of stage 4 adenocarcinoma; lung cancer–terminal cancer. 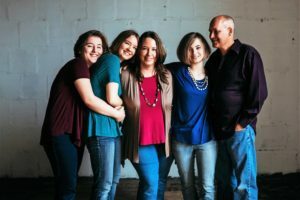 Our family has been living with my husband’s terminal cancer diagnosis for over 5 years. I know the complex issues surrounding it. I’ve posted many articles about how to live life to the fullest despite such a painful reality.